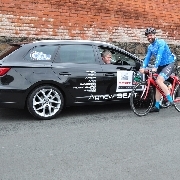 Alastair McAuley (Team Asea) left his breakaway companions on the last lap of todays Audi GP at Ballynure and took the win by 45 seconds. 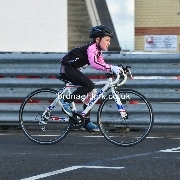 Newtownards was the venue for Round 4 of the Agnew SEAT Super 7 crit series. 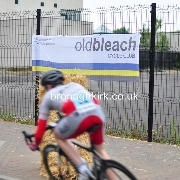 Old Bleach CC held Round 3 of the Agnew Seat Super 7 Crit series last night in Antrim. 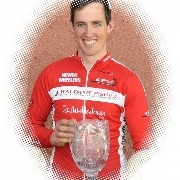 Mark McKinley (Newry wheelers) did a career best ride today to win the coveted John Mulligan Memorial Trophy in Fintona, County Tyrone. 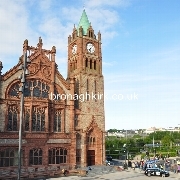 Round 2 of the popular Agnew SEAT Super 7 Crits was held last night in Derry. 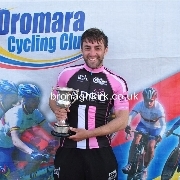 James Ambrose (North Down CC) won the Emma McMullan Memorial Cup at Bishopscourt Motor Racing Circuit today. 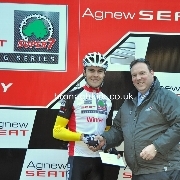 Mark Downey Banbridge CC won the first jersey of the Agnew SEAT Super 7 Crit Series last night at Newry. 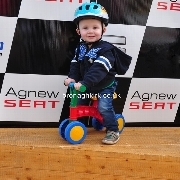 Agnew SEAT Super 7 Crit Series held Round 1 in Newry last night. 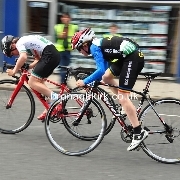 Dunloy Cycling Club held their first open road race on a testing 18 miles course which started and finished in Dunloy Main Street. 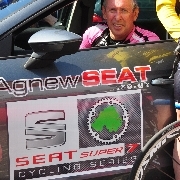 Next Wednesday night sees the beginning of the new Agnew Seat Super 7 Cycling crit series at Newry. 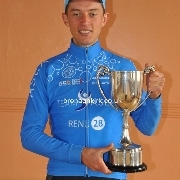 Bangor man Fraser Duncan (Team Asea) won the prestigious Red Hand Trophy today in Broughshane County Antrim. 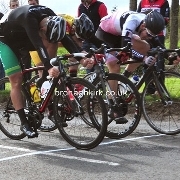 Maryland Wheelers promoted their annual Tommy Givan Memorial races today on the testing Hillsborough-Annahilt course. 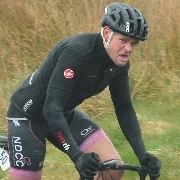 An exciting new Criterium series was launched today on the Agnew Seat facebook page. 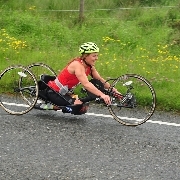 The Orchard Wheelers-Shelborne Motors club promoted their annual Groucho Grand Prix race today at Richill. 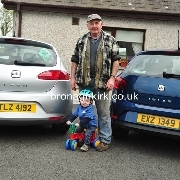 Glenn Kinning won tonights race at Kirkistown. 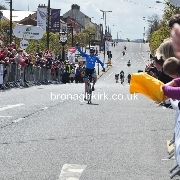 Damian Shaw (Asea) raced into the pink leaders jersey of the Amber Green Tour of Ulster. 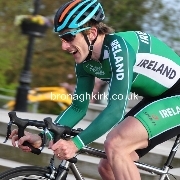 Dromore man Roger Aiken won the final stage of the Amber Green Energy Tour of Ulster in Cookstown today. 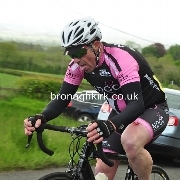 Stage 2 of The Tour of Ulster was abandoned midway through the 94 mile route from Belfast to Newry. 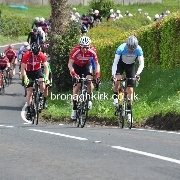 There was a close finish today in the Mid Ulster GP at Cookstown.